Slide, Mat, Galvanized Steel Pipe, PVC Foam, EVA Mat, Soft Toys, Etc. Applied range: kindergartens, amusement park, shopping mall, restaurant, community, residential quarters and other kinds of indoor and outdoor venues. > Plastic parts: food grade environmental protection plastic LLDPE import from SK company in South Korea. > Net: high strength nylon cord knitting machine. > Can choose different materials according to customer demand. Size: Can be designed according to customer requirements. Packing Standard Export Packing: Cotton &PP Film, Accept Customized Packing. 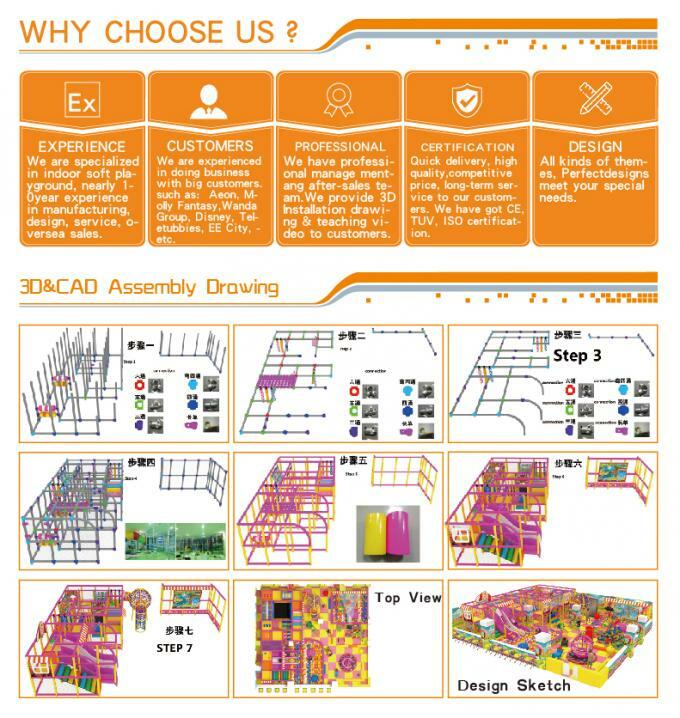 Installation Professional and useful CAD instruction, assembly procedure. Remarks Free designs provided as long as given sizes. 1. Age Range Think about what age group you are working with. The different age group have different skill sets and limitations. 2. Expected capacity: How many children (or adults) will your playground need to hold? We can help you consider ways to improve capacity or spread the children out to more play events. 3. Ancillary facilities required: Remember to think of things like party rooms, café area, vending area, rest area, etc. 4. Design preferences, eg. the colors you like, etc. 5. Any other ideas you come up with. 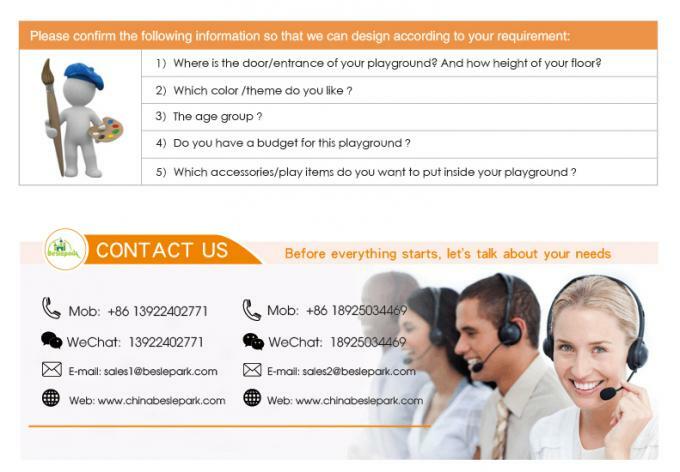 Guangzhou Beslepark Recreation Equipment Co.Ltd provides detailed assembly drawings to make sure that our clients could install the indoor play center correctly. Guangzhou Beslepark Recreation Equipment Co., Ltd (hereinafter referred as Beslepark) specialized in the soft playground, preschool facilities, trampoline park etc, It has covered the product line like Naughty fort/ Naughty castle series, electronic single item series.Since its establishment in 2008, Beslepark has been carrying the childlike innocence to develop professional children's playground products, after several years of development, it has become the leading company in the amusement industry, and passed the SGS, TUV, CE, and other professional certification. Safety Comes From Professional And Experience! 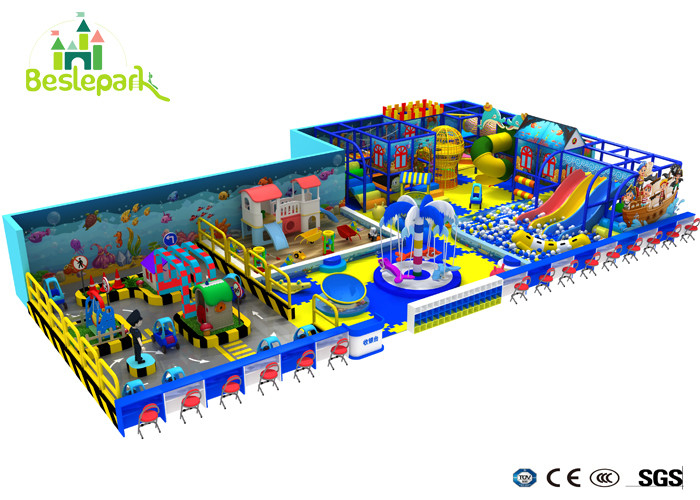 Indoor playground, commonly known as children's castle, is a new generation of children's activity center which is composed of amusement, sports, intelligence, fitness and so on, which is designed according to children's characteristics and formed by the scientific three-dimensional combination. It can be said that it is a new and highly comprehensive children's playground, designed for children's nature, such as drilling, climbing, skating, rolling, swaying, swaying, jumping and rocking. Since the last century castle naughty Fort appears, have been gradually popular in Japan and the United States, not only because of its playability, the puzzle is more scientific. After years of development castle, in summary, the naughty fort is a puzzle of other educational toys incomparable advantages. Once you place the order, we can freely offer the customers Installation Manual. And other detail lists about the product, such as component list, we also can do it. Just please inform us in advance. (4) Certificates: ISOI4001, ISOI8000, ISO9001 & GS from TUV Company of Germany. Component: Slide, Mat, Galvanized Steel Pipe, PVC Foam, EVA Mat, Soft Toys, etc. China Good Quality Supplier. Copyright © 2018 - 2019 kids-indoorplayground.com. All Rights Reserved.